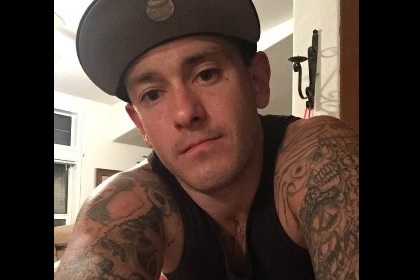 MADRAS, OR -- Deschutes and Jefferson County Sheriff’s detectives are searching for a man who hasn't been seen since March 18. Christopher Cardonia was on foot and doesn’t have a cell phone. The 32-year-old was last seen in the Madras area, but has connections in Bend and Redmond. He’s 5'6", 170 pounds with hazel eyes, brown hair and numerous tattoos on his arms and shoulders. Cardonia was wearing torn jeans and a dark hoodie when he disappeared. Anyone with information in the case, or who know where he is, is asked to call Detective Josh Roth of the Jefferson County Sheriff’s Office at 541-280-4490.